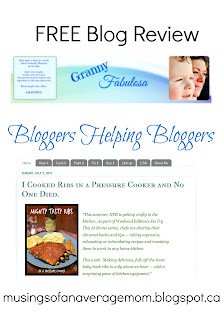 This week's free blog review from the Bloggers Helping Bloggers Link Party (which runs Tues 7:30 am EST to Sunday evening) was Granny Fabulosa! Clear and concise. I like the blues. I would swap the photo and the blurb about Grannies or put the blurb at the bottom of the header. I llove the "prologue" (for lack of a better word) at the left...very cute! I really like the image of you and your grandchild, and I also like the blurb about grannies but i think I would change the layout of the header. 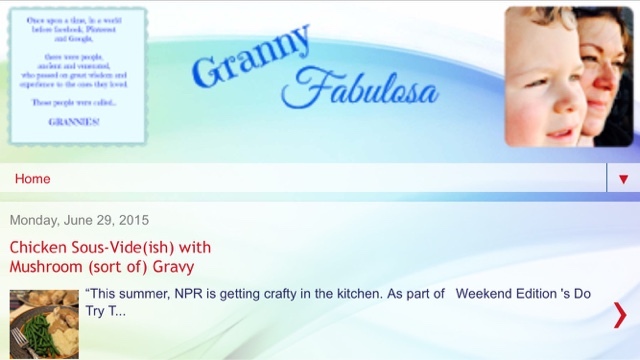 I might make the title Granny Fabulosa larger and have the quote underneath the image and title. Sidebar could be shorter - and the alignment should all be the same - as the Find me here is left aligned. I like the prominence of the social media buttons at the top but I always look for an "about me" there as well. I was a little disappointed not to see that, although I can always look at the tab on top. I did not see a subscription opt in, only the Atom RSS on the bottom. Maybe she will make a nice subscription opt in with a freebie...this just in case she wants to bring more subscribers :). Social Media buttons are large, easy to find at the top of the right sidebar. Follow via e-mail should be easier to find. Social media icons are clear and easy to find. I like recipe posts, so I like the subject. The post kind of rambles on but that's okay. love her writing style! 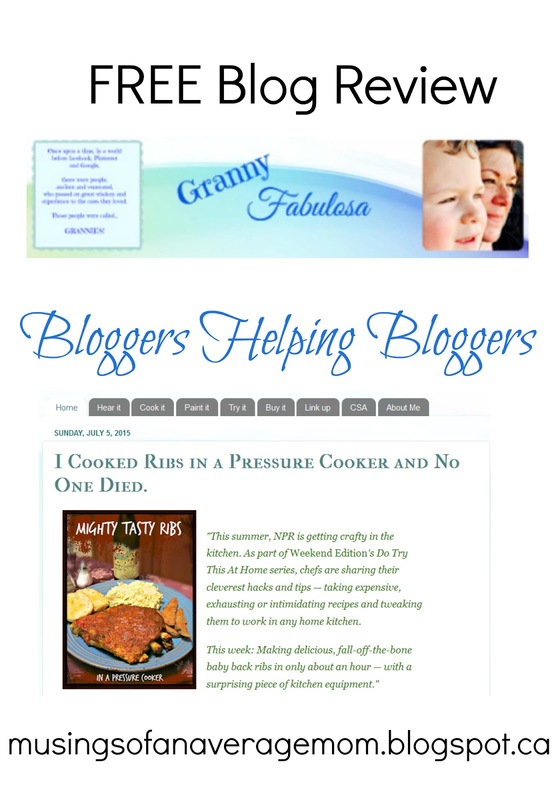 Especially in this recipe: http://grannyfab.blogspot.ca/2015/07/i-cooked-ribs-in-pressure-cooker-and-no.html#more she intersperses her own comments and thoughts to really personalize it! There are a lot of different fonts and color being used and I don't think it adds anything to the posts. The site is easy to navigate and there are several pages indexing posts. And on a personal note, I appreciated her "CSA" tab, as I'm looking into them in my own community! also blog navigation is easy. Website tabs good organized!!! This is a big +! Website is looking good, but if I wanted to change something -the blue text on the header and the blue backround is not very clear...I think is not matching to well...I think a gold dusted handwrite will bring more spark to "first impresion". Clean and simple, love the blue color, I'd just cut down on the dead space. The overall appearance is pleasing. The page seems to be too wide. I don't like to have to scroll to the right to see the right sidebar. Love the bright colours of the social media icons, maybe you could incorporate it more into your blog - like in your menu tabs. But, thats just me.